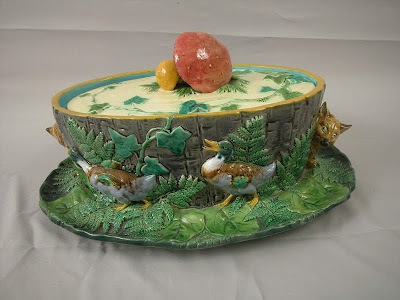 This auction includes many rare and unusual majolica pieces including the Minton fox and mushroom game tureen. Visit our website for photos. Telephone bidding will be accepted at this auction on any lot with a minimum opening bid of $5,000.